Pies and tarts are the ultimate in comfort food: nothing quite beats a buttery, flaky pastry with a tasty filling. 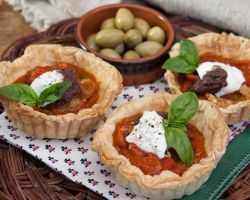 Conveniently served warm or cold, pies and tarts are easily transported and therefore work well as picnic offerings or take-along meals. 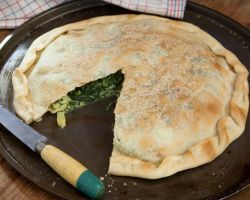 Serve a wedge with salad for a light lunch, or make individual pies for passing around at a party: fabulous one-handed food! 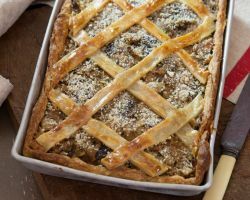 Turning leftovers into a pie or tart is also a wonderful way to give last night’s dinner a new life. 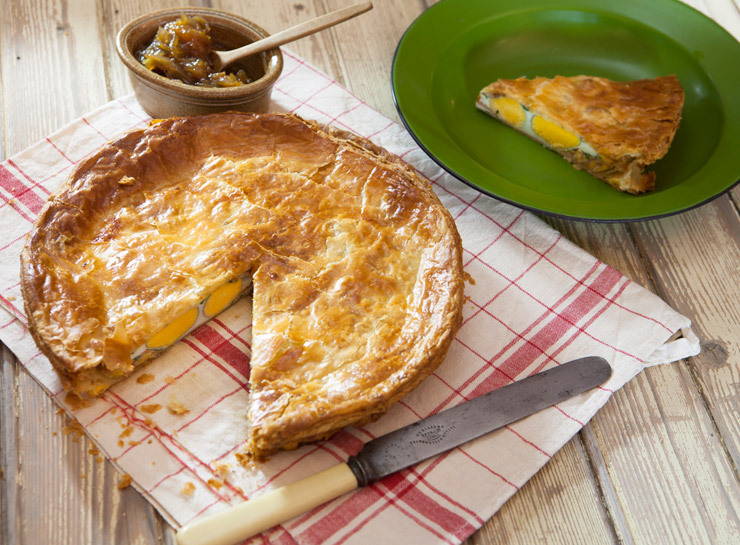 Learn a basic pastry recipe (see Pastry – Shortcrust in the Cook’s Companion) and suddenly the possibilities are endless. 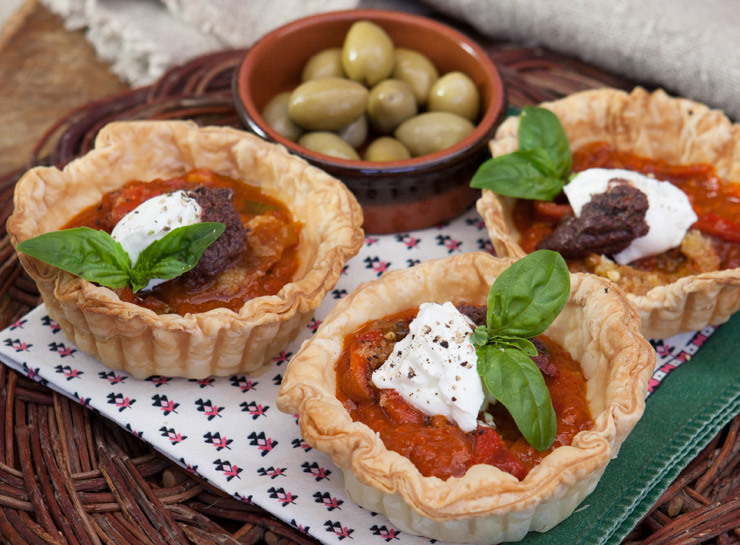 Here are nine recipes and ideas for delicious savoury tarts and pies. 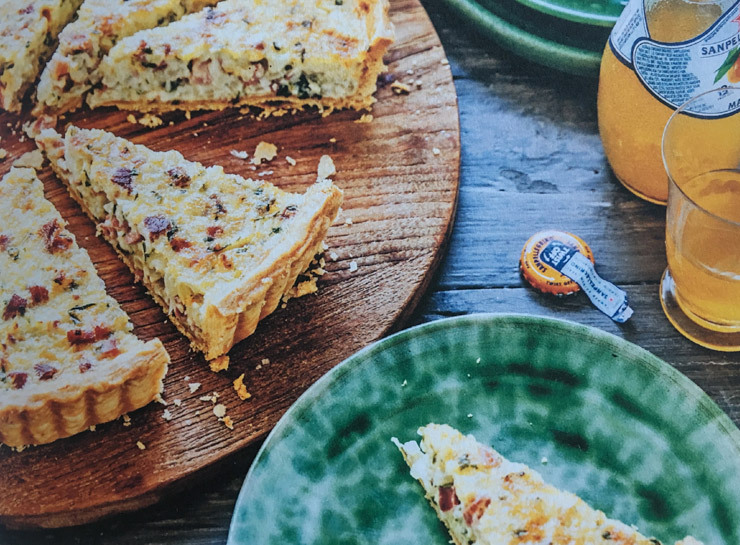 This egg and bacon pie is perfect picnic fare, when one needs maximum satisfaction with every bite! Can be served warm or cold. Click for recipe. 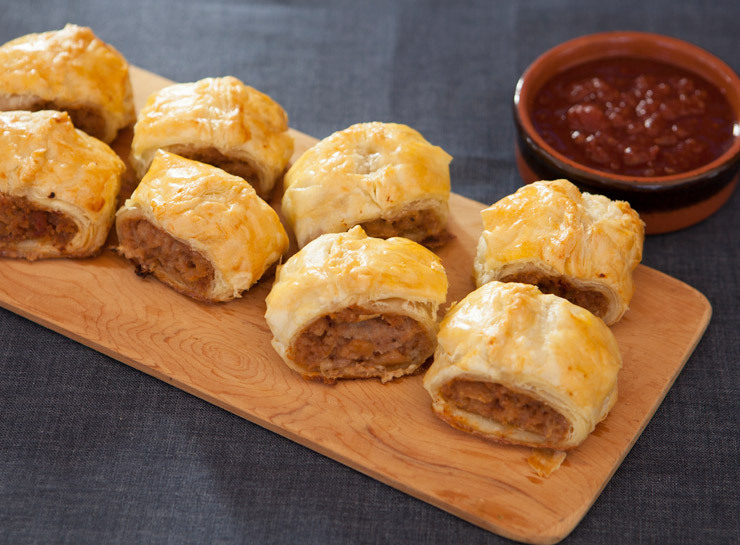 Merna was the mother of a friend and her sausage rolls were famous. 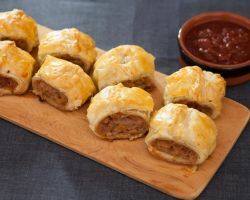 These sausage rolls can be cooked in advance and then reheated at 180°C for 15 minutes when required. Click for recipe. Mary was my mother and my mentor. 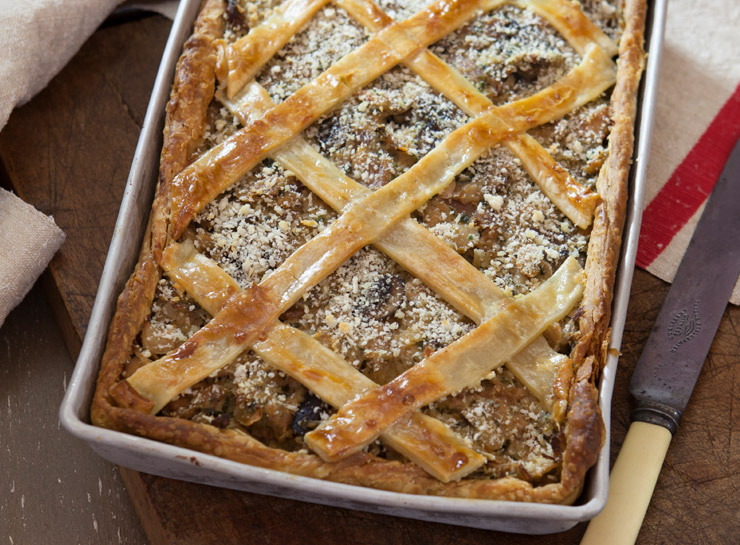 This rabbit pie is a family heirloom, cooked wherever and whenever my family meets. Click for recipe. 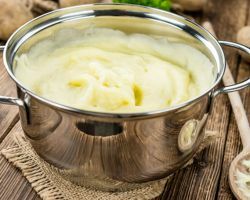 Mix 1 1/2 cups warmed mashed potato with 1 egg, a handful each of freshly grated parmesan and ricotta, 2-3 tablespoons melted butter, salt, pepper and enough warm milk to make a smooth but stiff filling. 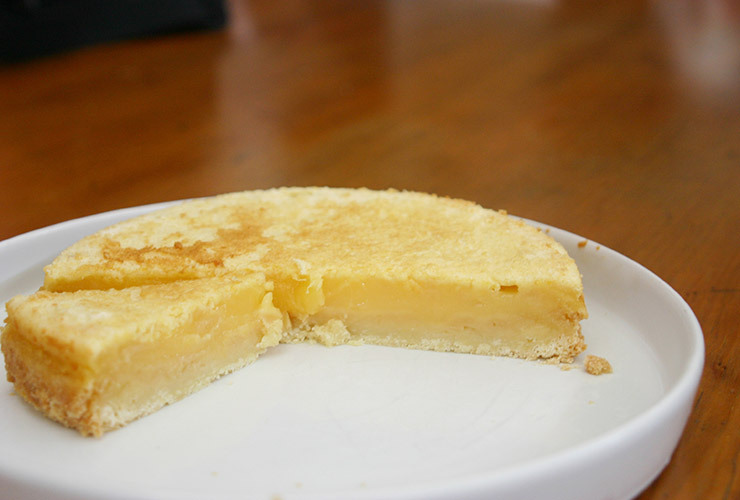 Assemble and bake torte using an olive oil pastry. 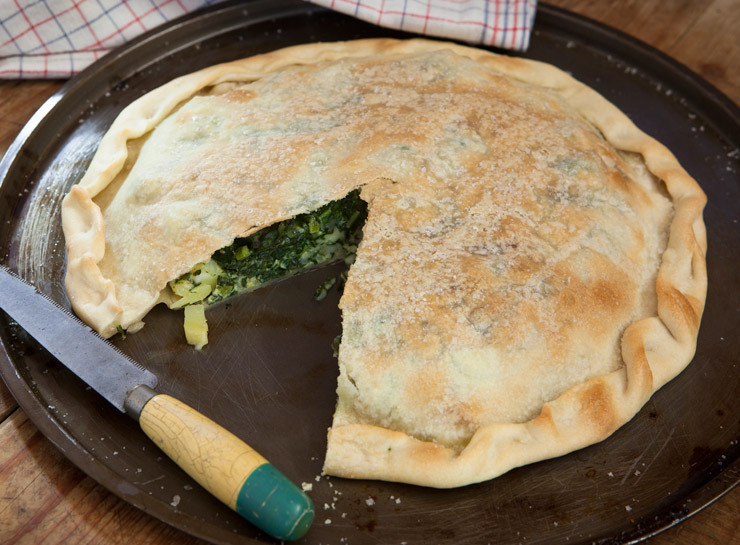 This lovely silverbeet and potato torte originates in northern Italy. The cheese is supposed to be a fontina from the Italian Alps, but the first time I made the torte I substituted a well-made Australian cheddar. It was still delicious but I must admit that a cheese with a little more ‘stretch’ is a better choice. Click for recipe. 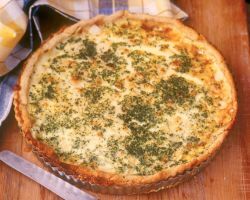 These cheesy tart is made with gruyere or emmental cut into tiny dice and scattered over the pastry, before being covered with a cream and egg mixture and then baked. Find the recipe in the Cook's Companion App or book. 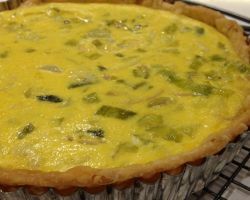 This tart will be very popular! It is packed with good things, so the wedges can be quite modest in size. Find the recipe in my book, The Cook's Table. 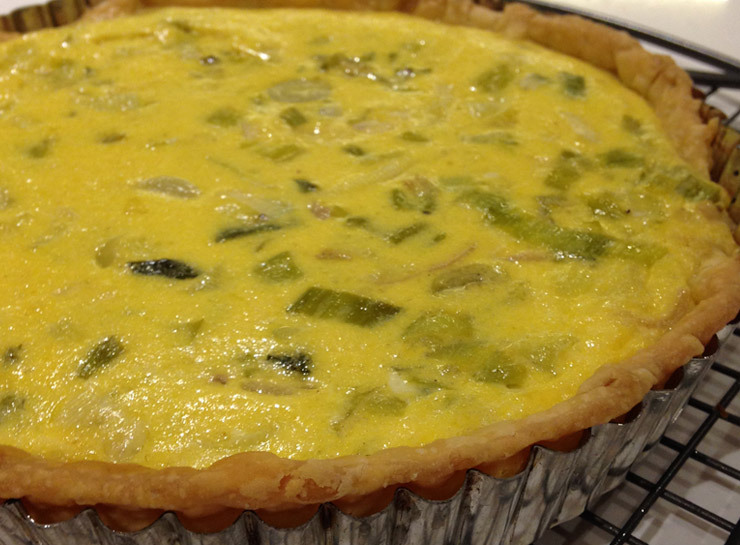 Meltingly soft, buttery leeks work beautifully in a tart. Click for recipe. 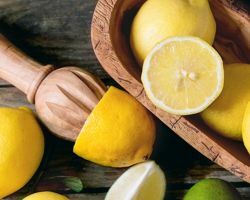 With a lemon tree taking pride of place in so many Australian gardens, it is often a question of how to use the fruit. On backyard trees the fruit hang obligingly for weeks, with the heaviest crops occurring in late winter and spring. 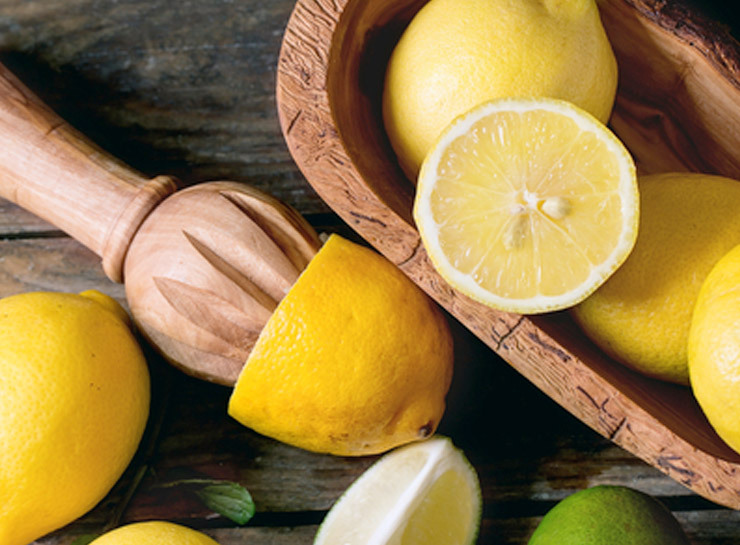 Lemon has so many uses: as a tenderiser, flavour enhancer, and preserver of colour in other fruit and vegetables. It is a refreshing source of acidity in drinks and a major ingredient in cakes, tarts, biscuits and creams. 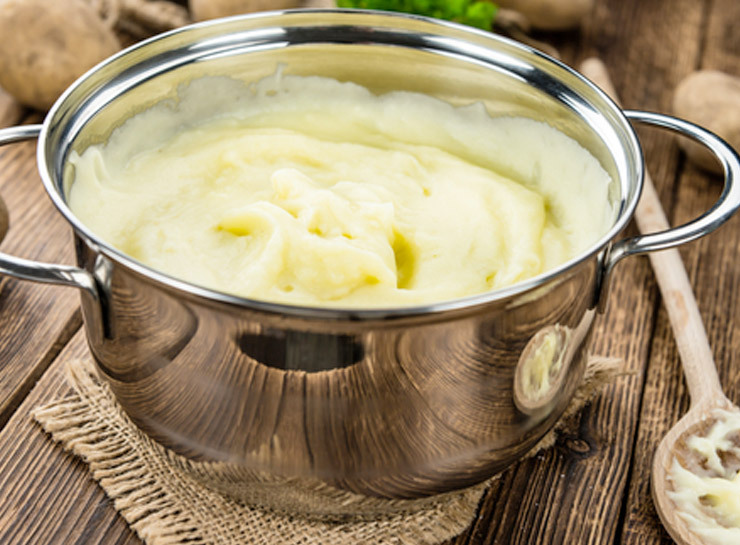 Lemon is mandatory with seafood, either squeezed on top or as the basis of a sauce. 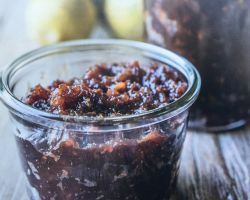 The zest can be used to make syrups in which to poach other fruit, and lemon peel can also be candied for a delicious after-dinner treat. 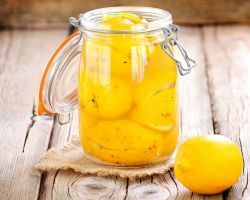 If your backyard lemon tree is heaving with fruit, here are six lemon recipes for making the most of your citrus bounty! 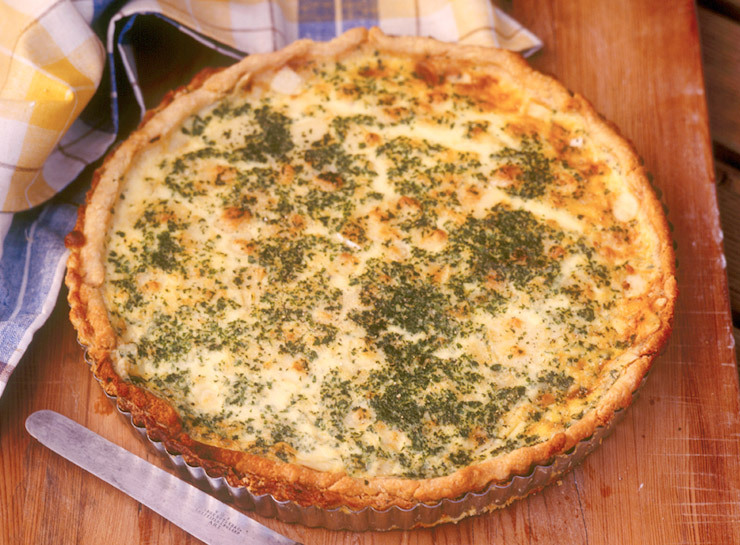 Time for a classic lemon tart. 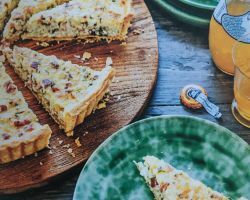 My favourite recipe is featured in The Cook’s Table, taking inspiration from Brisbane baker Jocelyn Hancock. 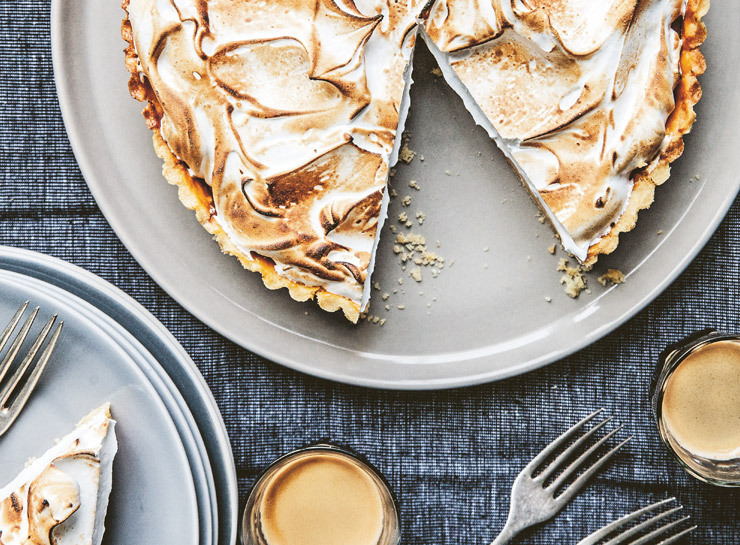 She tops hers with a proper Italian meringue. 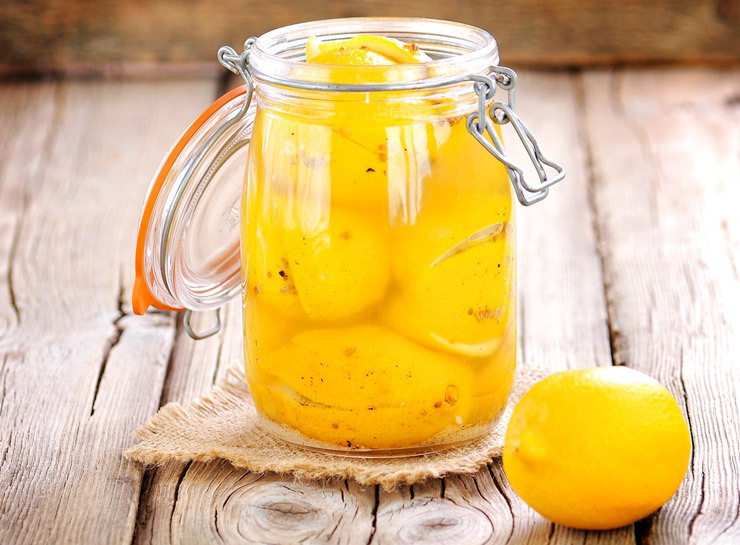 Preserved lemons last for years without refrigeration, and a slice enlivens a stuffing or is a marvellous garnish for grilled poultry or fish. 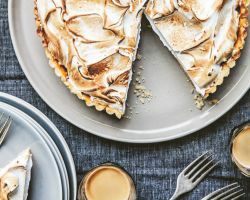 Traditional methods can mean a wait of a month or two before the lemons are ready to eat – so in the Cook’s Companion App and book I have included both a traditional and a speedy method for those who cannot wait. To make fresh lemonade, zest 3 lemons and juice 6 lemons. Dissolve about one-quarter of a cup of castor sugar in a little of the lemon juice. Pour all juice and zest into a jug, add a few bruised sprigs of lemon balm, verbena or mint. Leave for an hour and then dilute to taste with cold water. 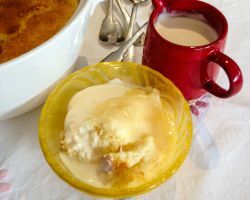 Still the most popular recipe on my website This is a classic and, in many families, the ultimate pudding – the golden sponge topping hiding a creamy lemon sauce. 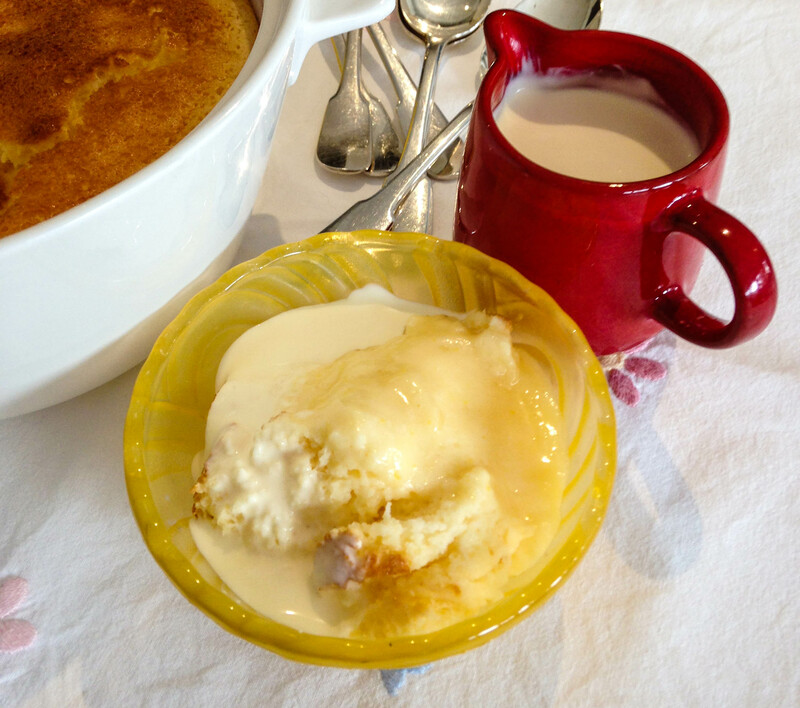 This Lemon Delicious Pudding Recipe is a favourite from the Cook's Companion. Click HERE for recipe. 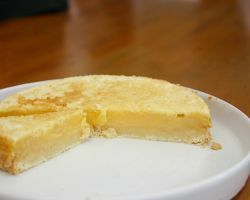 This simple lemon slice is a made with a minimum of mess and is an ideal recipe for young cooks. There are three layers: a biscuit base, a gooey, sharp lemon middle and a cakey topping. Find the recipe in the Cook’s Companion App or book. 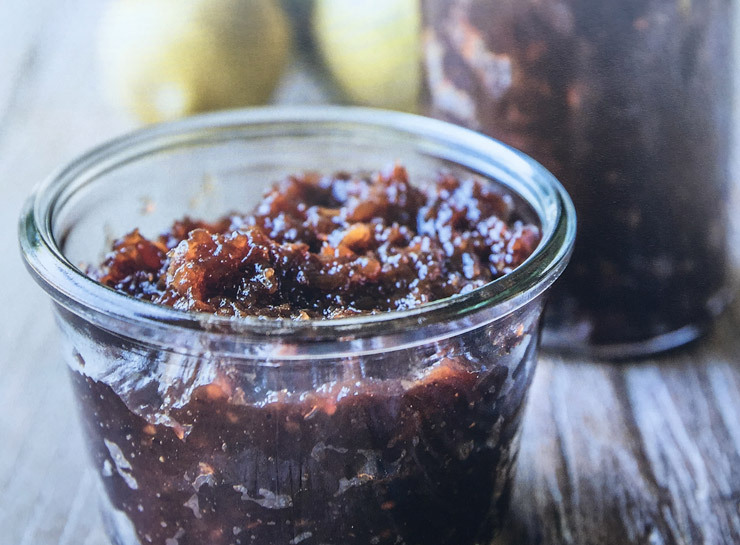 A delicious chutney recipe can be found in Greg and Lucy Malouf's cookbook Arabesque, also featured in my book Kitchen Garden Companion: Cooking. It is beautifully spiced and has some of the salty tang one associates with long-preserved lemons. The dates add a richness and a gorgeous texture. Well it is cold but what glorious winter days we have been having. Sunlight has streamed in my windows. I have taken to sitting upstairs using my MacBook Air rather than the desktop computer in my downstairs office so as to enjoy the longer views. I had a lovely gift parcel from the Sicilianos at Rose Creek Estate. The first oil pressed for the season – deep-green and powerful – sweet mandarins, tamarillos that I have poached, some finger limes, bottles of wine made by son Angelo and two glorious pomegranates. 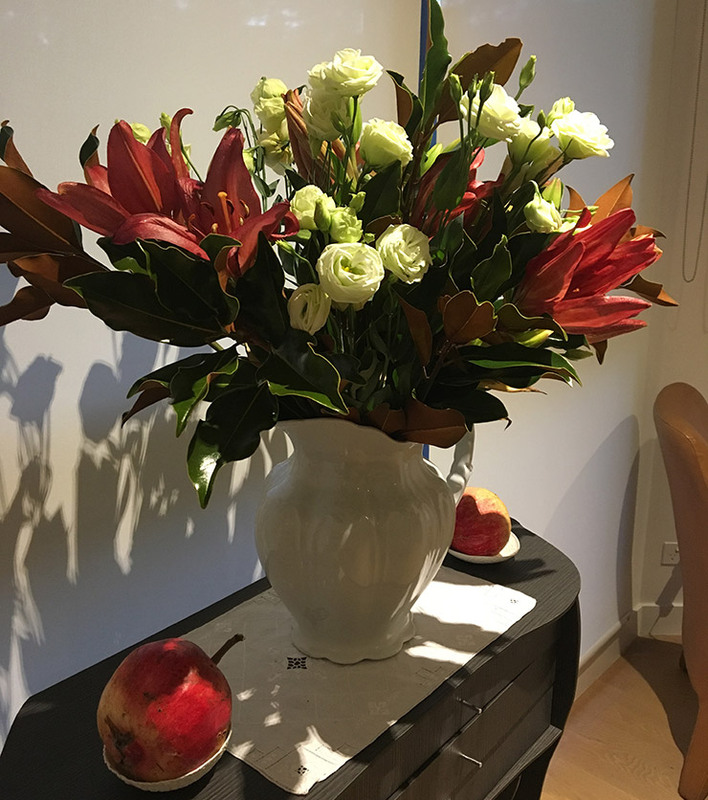 The pomegranates were so rosy-red I arranged them next to my weekly flowers as they perfectly complemented my deep-red lilies and magnolia leaves.